Some things change and some things stay the same. 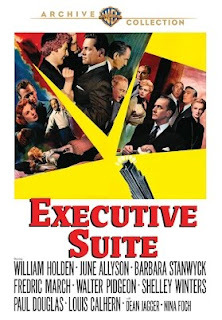 Just think that 65 years ago in 1954, a film called Executive Suite focused on the boardroom battles of Tredway Corporation, a furniture company, after the founder suddenly died without a succession plan. That former president changed the culture of the company by walking the factory floor and tossing badly made furniture. Now, furniture is certainly not as exciting as tech or social media or search, but for those of you into history, manufacturing was the norm post World War 2. The movie and its themes, however, are as relevant then as they are today. Check out https://youtu.be/vcEOsGvT0qA which shows William Holden's final climactic boardroom scene where he talks about innovation vs. cost reduction and pride that the workers feel in building good products. Think about today and how corporations act to improve current earnings so the street is appeased. And think about the company for which you want to work. This movie was an expose on the machinations of big business. It showed power struggles, behind the scenes scheming for power and leadership, and the reluctance of one person to compromise his ideals for the good of the company. Interestingly, all the executives felt that they had the best interests of the company at heart. It came down to is Loren Shaw (played by Frederic March) vs Don Walling (played by William Holden) in the battle between cost savings and accounting vs product quality and innovation. Shaw used short-term accounting gains and cost reductions to satisfy the stockholders. Walling was more concerned about the quality of the company's products, better manufacturing processes, and new products to grow the company and infuse passion into the workers. Walling's enthusiasm, vision, and his stirring boardroom speech won over the entire board in the end. But you have to watch this stirring performance to appreciate the battle and the climax. Memorable quotes: A good movie, to me, has some great memorable quotes and this movie certain has them as well. Here are four memorable quotes as relevant today as they were nearly 65 years ago: Ø Stop growing and you die. Ø Grabbing for the quick and easy is the sure thing that is just a lack of faith in the future. 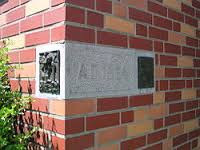 Ø The force behind a great company has to be more than the pride of one man; it has to be the pride of thousands. Ø Never ask a man to do anything that will poison his pride or work. I know I can relate to these concepts and hold the belief that you cannot shrink yourself into greatness by cost reduction and a focus on the present. Being afraid to innovate is the kiss of death. Think about Blockbuster, Kodak, Toys R Us, Radio Shack, Sports Authority, and Borders among others. Some imploded because their business models were obsolete while others did not take advantage of new technology. Yet, others failed to appreciate the seriousness of the competition and failed to react to it. Lessons Learned: The themes in the movie from 65 years ago are relevant today. Here are a few takeaways. Stay true to yourself. If you don’t like politics in business, start your own company. If you want to stay in corporate America, you have to learn to play the game. Build relationships around you- in the company for which you work, in your office area, and with suppliers. I used to believe that being the smartest person in the room was the key to success. A lot of people are equally smart. But it is the combination of innate intelligence (IQ), Emotional Intelligence (EQ), and Business Intelligence (BQ) built on a platform of relationships with people that will enable success. Innovation is the heartbeat of business. Innovation can be in products, in processes or even the way people are treated and led. Passion is critical to building a strong company. Every worker should have passion in what they are doing and feel that they can contribute to the success of their company. An engaged workforce where each employee believes they are part owner of the company- and get compensated accordingly- will help a company grow. Always look to the future. Craft a vision on where you want to be and get aligned to your vision and cause. C-Level Partners has been established to help executives build value for their companies. Whether the company needs to increase value because the owner wants to retire, or whether the company needs to change because their growth curve has flattened, we can help. Feel free to reach out to me at dfriedman@clevelpartners.net or call me at 949 439-4503 for a free 45 minute consultation of how we can help your company grow. As Satchel Paige said: don’t look back: someone may be gaining on you. Courtesy Huffington Post Susan Howington, founder and CEO of Power Connections, hosts a meeting of top level business executives from around Orange County. At these round tables she raises a topic of interest and executives discuss and share their points of view. It’s very interesting and engaging and all of us learn from each other. Recently, Susan brought together a dozen executives with backgrounds in general management, operations, sales, marketing and human resources. Susan started off by reading a recent Wall Street Journal article from January 2018 entitled: How to Succeed in Business: Do Less. That article basically said that it’s best to do fewer tasks and obsess over getting them right. Another study of 5000 executives referenced in the round table, provided insight into how top producers work. In this study, the key to success revolved around mastering selectivity on what was to get done and saying NO to bosses. It was unanimous within the group that FOCUS is critical to executive success and to a company. It was no longer the norm to work harder. The goal is to work smarter and by working on fewer “priorities” success would follow. This doesn’t mean you forget about everything that is on your list of 50+ activities that need to be accomplished. Rather, this list is maintained. Select the top three activities and then as one is complete you add another to the top three list. Focus is critical. I remember an employee at one of my companies that came to me with a list of more than 100 items and was overwhelmed. I sat down with her and tried to prioritize those 100 into some sequence to get her to focus on the most important. I cannot say it was a perfect success, but we did agree by eventually using pairwise comparison, which activities were on top of the list. And then I told her I would only evaluate her on the top three activities and when those were complete we would modify her objectives and add the next priority. She was not happy but she acquiesced. During the round table discussion, some attendant questions were addressed: How do you prioritize personal needs with business needs? How do you find what is the most important in the corporate world? How do you say no to bosses? How do you prioritize personal needs with business needs? Executives must balance both personal and corporate needs. We hear about work / life balance and millennials especially want to ensure this balance is maintained. Ensure you know what you want to do. Start with a personal vision/mission statement. For example, mine is to build businesses and build the next generation of business leaders. Make sure there is time set aside each week to do one or two things that help support your self-vision. On the corporate side, ensure you understand the business strategy and the metrics the business will use to determine success. Then make sure you develop a maximum of one to three things and make sure your results support those corporate metrics. How do you find out what is most important in a corporate world? On the corporate side, ensure you understand the business strategy and the metrics the business will use to determine success. Then make sure you develop a maximum of one to three things and make sure your results support those corporate metrics. Market research can be used to determine what is important to focus on. Notwithstanding the corporate strategy and business plan, market research can obtain information on what is important to the customer and how well the company performs on that attribute. The results can be plotted on a Quad map. (See my prior blogs for a detailed description.) Priorities should be given to those attributes that are important to a customer and which are performed well (leverage and maintain those activities) as well as those that are important yet not performed well. Those have to be corrected and might form strategic initiatives for the company. Once you determine what is important to do, you have to determine how that task or activity fits on the importance/urgency scale. Certainly if something is urgent and important, it has to get done. However, the key to success is to determine what is important and NOT urgent and prioritize those activities so you have time to do them right. · What happens when you have a boss that says, “We will work from morning til night until everything is done,” and then keeps adding more activities and chores to the list? I know I have had those types of bosses. Sometimes you have to say no and it is how you say no that may be critical. Of course you can try to quote Warren Buffet who said: ”The difference between successful people and really successful people is that really successful people say no to almost everything.” In my opinion, you can do this only if you have succeeded in prior projects and earned that type of respect. But what happens when the boss is adamant? How do you say no to bosses? 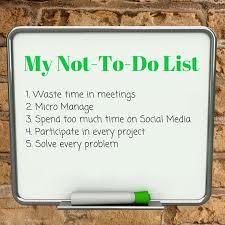 Develop your list of activities and work with your boss to determine the top three things that need to get accomplished. 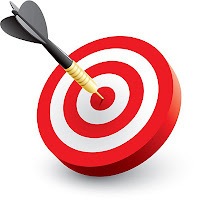 Use the concept of SMART (specific, measurable, accountable, responsible, time limited) goals or management by objectives to set up the goal, metric for success, and time when the objective will be accomplished. Ask for more time or help to accomplish projects or activities that are important to the boss. Note: the participants at the round table suggested that if the boss will not agree on prioritization and other negative cultural habits crop up, that environment could be toxic and it might be time to find another job. Most bosses will listen to reason – at least we hope. Once these three questions are addressed, you have to execute. Here are some prescriptions to help execute your priorities: Use your calendar to block specific time slots, making a meeting with yourself, to accomplish your priorities. Answer emails only at selected times during the day, e.g. first thing in the morning, before lunch, and before you leave for the day. Many of us hear the little email tone signaling “you’ve got mail” and we respond immediately. Select a personal advisory board to help you keep focused on the important tasks both personally and for business. Develop a corporate battle rhythm to focus on those important activities and plan them out on a calendar with the right people in attendance. As a correlate, don’t have meetings without a clear agenda and expected outcomes and don’t invite people if they are really not needed at the meeting. Develop executive alignment on strategic initiatives through the strategic planning process. Use a facilitator to help define the priorities. Market research that provides input from customers on importance and performance can be used as the basis for that alignment and the executive team can multi-vote on the most important strategic initiatives. This blog is only meant to touch the surface of what we discussed and the answers in many companies are probably more complex. Yet the round table discussion was a great start to get us to think about how focus and prioritization will make us more productive. And saying NO to bosses, while scary at times, is the right way to help you, them, and the company to be more successful in the long run. If you have any questions or want to continue the dialog, contact me at dfriedman@clevelpartners.net or Susan Howington at susan@powerconnectionsinc.com. Most of us watched Superbowl 52 between the Eagles and the Patriots. Part of the charm of the Superbowl and the parties we attend, relates to seeing the commercials. In fact, much time is used “rating” the commercials in terms of humor, appeal, and somewhere down the line the effectiveness of the advertising spend. As a piece of trivia, a Superbowl commercial this year costs $5 million for a 30 second ad PLUS the actual cost of designing, developing and shooting the commercial. Note that Nick Foles, the Eagles’ Quarterback and MVP, made only $1.6 million for the entire year. By the way, as a Giant’s fan I really liked the Eli/Odell Dirty Dancing commercial. Last year, Coke eliminated the role of Chief Marketing Officer and reorganized around a new role of Chief Growth Officer (CGO) to integrate marketing with customer and commercial teams. Other consumer package goods (CPG) companies, such as Hershey and Kellogg, have also moved to a similar function with Kellogg instituting the function in mid-2015. How successful are those companies? It may be too early to tell. Kellogg’s results over the past few years have been passable and they might not be the best model to use. Their CGO was an advertising executive – albeit very smart and well regarded and their revenue the year after his appointment was DOWN. We can argue that a title change may be necessary but it is certainly not sufficient for improving growth and making that revenue and growth profitable. The Chief Marketing Officer has significant issues in a corporate structure. I have seen many times that marketing is regarded as a function of planning more ads, designing creative billboards, winning the contest of the best Superbowl ad, and winning creative awards. This is more “fluff and stuff” vs the reality of hard marketing and on this basis alone, a change in title from marketing to growth officer seems warranted. Let’s take a look at five (5) lessons that can be applied to what I call Growth Leadership. 1. Growth starts with the CEO. Without the CEO and his strategy, successful growth plans cannot be put into place. I keep reminding myself of the Alice in Wonderland quote: If you don’t know where you are going, any road will take you there. Companies who want to grow have to put a CEO with that objective in place and not all CEOs fit that bill. 2. The company has to have a growth mentality. While this may start with the CEO, the people he hires and the culture of the organization must be focused on growing. I know this may sound strange to some. Unfortunately, most of us have been in companies that believe growth is based only on EBITDA increasing. While that is important, EBITDA can be improved – at least in the short term – by cutting cost. I have never believed that you can shrink yourself into greatness. 3. Innovation must be a hallmark of a growth company. Without a solid business model and without good products companies will not grow. There is just too much competition and the internet and agile development around software puts many companies on an even footing. Think about companies you know. How many of them are growing? How many of them have a solid product line and product portfolio? Growing companies have solid portfolios and products in the wings – or a good acquisition strategy to acquire new products or partners that have these new products. A creative ad on the Superbowl is not sufficient. Recall the commercials you watched. Which ads pushed minor line extensions or existing product vs. new ones? I only recall two really new products: a Kia Stinger car and a new Lexus LC500. (BTW, I like both of these cars!!) 4. P=R-C. Let’s get to basics. Any officer in a company must recognize this fundamental equation and determine how they can affect the elements which create profit. Clearly, a Chief Growth Officer will be responsible for the revenue side as well as the investment which will be put to use in generating that revenue. As a correlate, growth officers must change their internal perspective of being cost centers to investment centers. They need to think about a concept called return on investment. Even good marketing officers that I have known, focus on a concept called ROMI or return on marketing investment, treating marketing as a business and not merely a creative channel. So, when we look at the Superbowl commercials, how many of these were merely “fluff and stuff” creating awareness for the company vs. a means to drive growth? Would the company be better off spending more than $5 million on alternative marketing activities that would directly drive growth? What is interesting is that small companies with lack of budget dollars focus on the bottom line and are tactically driven. 5. An integrated approach to growth can be achieved with forethought. Whether you call the executive a Chief Growth Officer, Chief Revenue Officer or Chief Marketing Officer, I believe this person is an integrative force within the company. This person, whether directly or indirectly, must be a linking pin between the outside world of the customer and the internal world of production and manufacturing. That person needs to connect and get different functions such as marketing, product, demand generation, social media, customer service, usability/user interface, and customer service to work together to a common end. That person must be responsible for a) managing at least part of the investment in growth initiatives, b) managing or certainly influencing the innovation process relating to new products, line extensions, and processes to make the customer experience better, c) the overall go-to-market strategy and tactics that are broad to include all customer touchpoints. I call this Big M marketing where the company executives are aligned for a common purpose and focus on providing the best products and services to the customer. Individual silos are eliminated and therefore a consistent brand image can be projected. And most, important, all these components need to have targets and be measured and reviewed as part of the business battle rhythm of the company. The title of a function is important just as a brand and its meaning is important to a company. I am not a huge fan of marketing as it is implemented in many companies because in my opinion current Chief Marketing Officers have failed with regard to helping a company grow their revenues profitably. I have argued this many times before. I believe I am correct in my assessment, as the tenure of a CMO is approximately 4 years, lowest tenure in the C-suite and approximately half as long as their CEOs. But I also believe that there is an opportunity for companies to improve their top line growth and margins by following these 5 prescriptions. We, at C-Level Partners, are focused on helping small to mid-cap businesses improve their growth and margins. Write to me at dfriedman@clevelpartners.net to see how we can help your company grow. Sheryl Sandberg said: If you're offered a seat on a rocket ship, don't ask what seat! Just get on. Here's the rub: will the rocket ship ride be successful or will it blow up? It's easy when you have made it to look back and give advice. Remember Tevye from Fiddler on the Roof when he sang "If I were a rich man..........." People would fawn on you because you made it and listen to your advice but that advice may or may not be useful. I DO believe you can create your own luck and you need to take chances because opportunities come along infrequently. Just don't be rash. And let's be realistic – luck plays an important role in which rocket ship you jump on. So the question to me is how can you improve your luck? Let me change course for a minute. How many of you get emails hawking a system in stock trading that says you can make $1million with an investment of only $10,000? I get those emails all the time and sometimes I am curious enough to find out how. It’s usually based on highly leveraged trades using options or other derivatives and the deals are truly based on luck. I will give you an example that has the good and the bad of both. If you would have invested $8,000 in Ethereum (ETC), a cryptocurrency, in Dec. 2016, and you sold only 7 months later you would have made $380,000!! Hindsight is wonderful. Or if I invested only $100 in the lottery and was successful, I could have made $100 million. Makes me want to run out now and buy a ticket. Investing $8,000 is a lot for many people and the potential for loss in the stock market is fairly high. Risking $1 or even $100 on a high potential return is less risky and most people can afford to lose a small amount of money to win something very large. Playing with your career, however, is a high risk venture so you have to be somewhat cautious and take calculated risks. Additionally, as business people you may be faced with several different projects or opportunities that you can jump on (the rocket ships) and the question remains: “how do you select the right opportunity?” So, the question exists whether you are playing the stock market, the lottery, being an angel investor or Venture Capitalist, or just a good business person. The answer is not simple yet those successful in finding that rocket ship have a system they follow – or they are just plain lucky. A system is a set of rules and methodologies that are used to select options from a set of opportunities. And, moreover, it is a set of principles to follow that tell you when to exit and while you are in the opportunity, how to manage the opportunity to achieve the best success. Whether it is the stock market, your business career, or the leader of projects the same general principles will apply. Jack Schwager wrote a series of books called The Market Wizards (click the link for Schwager’s Amazon site). In short he discovered that each successful investor had different systems but the one thing that stood out is the discipline each investor had at implementing their system AND each investor had some unique skill or advantage that he/she put to use, e.g. great analytical mind, attention to detail, or understanding of a specific market. Creating a 6-step system for luck There is no magical system that can be implemented that creates luck. There is no service to which you can subscribe. Yet, there are some steps you can take that will improve your chances of success and make you lucky. As Thomas Jefferson said: “I am a great believer in luck. The harder I work, the more I have of it. Here are 6 steps you can take to work not only harder but also smarter. 1. Get organized. Create a journal of ideas and catalog them. Have a special book with tabs for these ideas. I set up a journal using Staples ARC system and have tabs on new ideas, new blogs, interesting articles and I review them regularly. 2. Live your passion. This sounds so simple but from the perspective of building luck, living means getting out and networking and attending events with others who share your passion. I believe luck is improved when you focus on your passion. If you are a technologist live in that environment by attending events at schools, through meetups and other in-person activities. Relationships with others can lead to luck. Think about people at Harvard who met Bill Gates or Mark Zukerberg and had the opportunity to know them and eventually work for them. Attend TED events for new ideas. I am interested in AI and deep learning so I pay attention to meetings that talk about these technologies. I have become active with a group at CHOC hospital called MI3 (Medical Information and Intelligence Institute) run by Dr. Anthony Chang and whose focus is on applying AI to health care. Companies that present there and discussions on topics may give me ideas that I can enter into my journal. 3. Improve your learning. With the Internet it is easy to learn. You can sign up through Coursera or the Kahn Academy or through colleges who offer educational information. It’s also easy to sign up for Google Alerts for things that are important to you. I also read Investor Business Daily, not only for stock information but also the sections on New Technology and New America. But don’t stop there; you can set up your reader on the internet to send you articles on topics of interest. My home page on Yahoo is set up with RSS feeds on subjects of interest. 4. Evaluate ideas and perform due diligence. There will never be a dearth of ideas. The issue is evaluating these ideas based on attributes that are important to you. Consider risk vs. reward. If it is a new company you are evaluating (the rocket ship) look at the competition and the management team. In angel investing we pay more attention to the management team than any other factor. Do some market research, preferably first hand research. I recall a postal worker who delivered the mail years ago and he saw something very interesting. People were having red disks delivered to their homes. The company was Netflix and he invested early. In June 2002 the price was under $1 per share; now it is nearly $200. It is not as rapid a growth as Ethereum but it has been and probably will be a good ride. Another way to research something is to walk around the malls, especially for consumer goods. See where people, especially young people, are buying and what they are wearing. 5. Act quickly. You don’t want to be rash but when opportunity knocks you have to act quickly. At this point you will have had collected ideas, learned about new things and probably evaluated ideas. When the idea is presented or the opportunity materializes you might have already analyzed it. Then make a decision and move on. As they say, success is never final; failure is never fatal. This brings us to the last point. 6. Develop a contingency plan. Uncertainty exists and sometimes events beyond your control can put a damper on the best plans. Therefore, it is always good to reevaluate your plans and opportunities on a regular basis, e.g. every 6 months but certainly not longer than a year. Final thoughts The system is important and if you have a good system positive outcomes will accrue in time. If you are not getting positive outcomes either your system is not good or your “edge” is not as great as you thought. Here are some considerations for you. Early failure is not the end of the world. You have to get comfortable in your system and potentially tweak it. The key is the ability to fail fast and learn from your mistakes. Flexibility. I have written in the past that a great business executive has to be “fast, fluid, and flexible.” This is certainly true for those in business and in improving their luck at getting on the right rocket ship. The method used to improve luck and success has to be right for you. Just as Schwager showed for great investors, their systems matched their personalities. You have to find a system that works for your temperament and your level of risk. Being lucky is not easy but luck increases with more opportunities and learning. You can make your own luck by hard work and learning from your mistakes. The key factor though may be how you personally deal with setbacks and success. It is said you learn more from setbacks and as I look at my own career, I can certainly resonate with that point. There is no perfect system that can be implemented to improve your luck. And frankly, I believe some people are luckier than others. An actor that is “discovered” by a movie executive is one example. For others, especially in the business world seeking success or fame and fortune, it is more likely a combination of keeping your eyes open, actively seeking out opportunities, and a balance of IQ (innate intelligence) plus EQ (emotional intelligence and resilience) plus BQ (business sense which can be learned). And maybe one day, for those readers of this blog who become successful, I will see you on the cover of Forbes magazine. For more discussions, feel free to reach out to me at dfriedman@clevelpartners.net. How many times in your career did you have to make a presentation and had trouble hitting the mark? Either your pitch was off point, did not cover the essential elements or you just rambled without having the focus you knew was needed to get your message across. Think about your having to make a presentation for funding for your pet project or presenting a strategic plan to your Board, dealing with an unruly press (of course the press is never unruly!!) or even presenting your credentials in an interview setting. This is where message mapping can help prepare you for such presentations. I have used this template in different situations in my career and I want to send my thanks to Tripp Frohlichtstein, a media guru and founder of Media Masters, who taught me this method nearly 25 years ago and who recently passed away. It is actually a very simple architecture of building your messages using three different building blocks and is shown as follows: Home Base: The major point you are trying to convey and when discussions become tough the presenter goes back to the home base and restates the major point he/she is trying to get across. Message Pillars: The home base, major message is supported by 2 to 4 message pillars which are categories of items upon which the major message is based. Proof Points: These are the specific quantifiable or discrete items that support the message pillars. Let’s take two examples. One of the examples is based on trying to sell a new idea to your board of directors. In this case, the message map may have the following components; Home Base: We have a new SaaS product that is based on proprietary behavioral analytics incorporated with Artificial Intelligence that enables Fortune 2000 companies prevent cyber attacks. Message Pillar 1: Technology Proof point 1: 5 patented algorithms Proof point 2: Technology licensed from University of California Message Pillar 2: Partnerships Proof Point 1: Partnerhsip with IBM Watson Proof Point 2: Broadcom partnership for new chip Proof Point 3: Visualization tool provided by Palantir Message Pillar 3: Customers lined up for Beta Proof Point 1: Fortune 10 company in aerospace agreed to test product in the US Prood Point 2: GSA contract in process Proof Point 3: 5 additional customers agreed to try before buying Message Pillar 4: Competition Proof Point 1: Cost will be 50% of existing competing products Proof Point 2: Competitive moat can be established based on patented algorithms Proof Point 3: Co-branding with partner creates distinct product set in eyes of the customer. By visually writing these points out on a piece of paper the presenter has a great tool to use in preparation for the Board presentation. 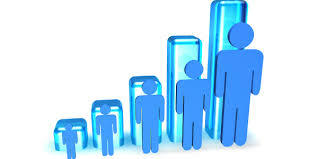 Additional data supplementing each message pillar or proof point can be developed as well. The second example where the message map is useful is in preparation for interviews and I have this technique to prepare them. Let’s say the person is a marketing expert looking for a new C-Level job where he doesn’t have the precise experience in the industry but has a related experience in working with recurring revenue streams. I will fill in part of the message map and perhaps the reader can think about what else needs to be filled in as proof points. Home Base: Marketing executive with more than 25 years experience developing recurring revenue streams in a diverse set of industries which relies on my creativity, innovation and use of third party partnerships to generate improved margins. (Note the bold elements which set up the 4 message pillars.) Message Pillar 1: Recurring revenue streams Proof Point 1: Three companies where I led marketing to 4 new recurring revenue products Proof Point 2: Total revenue for 4 products was 200 million per year by the second year Message Pillar 2: Creativity and Innovation Proof Point 1: Used Lead User research to design a platform product which was extensible to 2 other market segments Proof Point 2: Relied on my contacts at my alma mater to develop licensing agreement in exchange for share of future revenue Message Pillar 3: Partnerships Proof Point 1: Partnership with University Proof Point 2: Partnership with new sales channels including Geek Squad and CDW Message Pillar 4: Improved Margins Proof Point 1: Gross margins ranged from 40-65% on each product introduced. While these examples are fictionalized (based on fact by the way), they illustrate the power of the message map. Clearly there are many elements of using the message map that are not covered in this blog. Yet the power of this type of tool is evident. If you have questions please contact me at dfriedman@clevelpartners.net and visit our site at www.clevelpartner.net for other resources and tools that can help your business grow. The Pen IS Mightier than the Computer- Sort Of! Many people who know me realize that I collect pens- fountain pens. Some of my collection is shown on the left. Last year I went to the LA Pen Show for the first time and it was packed around the mezzanine of a Marriott Hotel. Today, I received an article from an investment group and the writer, Patrick Wilson, Senior Economic Analyst for Maudlin Economics (@PatrickW) wrote an interesting piece which resonated with me. I wanted to share that. As an angel investor with TechCoastAngels (www.techcoastangels.com) we listen to pitches to see which companies are investable for our investor group. After each presentation we take notes and provide comments- both what we like and concerns. I recall one time when a colleague was to take notes but he did not have a pen and paper and he had to find his computer. (Of course, I offered him a pad and pen but he politely declined.) When I read this article and thought back to my days in school and even the way I do stock and market analysis for investments, marketing, or just learning, it made me realize a few things. First, as Patrick points out the newest technology isn’t always the best tool for the job nor as helpful as you think it might be. Recall the acronym KISS. Pens are KISS at the right time and place. Patrick wrote For instance, recently I saw a Quartz article on cursive handwriting. Many schools that stopped teaching it now realize that was a mistake. Research shows that writing by hand actually helps your brain work better. The reasons for taking handwriting seriously are worth considering even if you’re not a kid or a parent worried about education. Anyone can benefit from penmanship’s cognitive benefits, whether you’re taking notes at a meeting or just trying to figure out what you think. Brain scans during the two activities also show that forming words by hand as opposed to on a keyboard leads to increased brain activity. Scientific studies of children and adults show that wielding a pen when taking notes, rather than typing, is associated with improved long-term information retention, better thought organization, and increased ability to generate ideas. That matches my own experience. I used to see people at conferences taking notes on their computers and feel a little embarrassed to bring out my paper notepad. But having tried both, I found that handwriting is faster, and I retain the information better. For all our whiz-bang technology, it turns out that a pen and notepad work better than the latest “notebook” computers and you never have to recharge them. (They’re also hackproof, at least for me. No one else can read my writing even if they steal my notepad.) I liked the article on several levels. First, find the right tool for the problem. If a company is looking to do a marketing campaign, they might not need an Oracle system for a direct mail program but rather Get Response or even an Outlook plug in depending on their list size. If a company has a large project to manage, should they use Microsoft Project or something like Odoo? The answer is it all depends on circumstance, complexity, skills of the people using the tools and the like. If you have questions on tools to be used in business, I would be glad to chat. Or if you just want to talk about fountain pens we can do that as well. 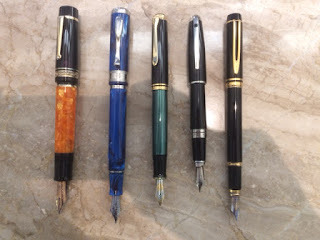 BTW from left to right, the fountain pens are: Delta Dolce Vita Large, Visconti Cosmo, Pelican 800, ST DuPont Orpheo Palladium, and Waterman LeMans 100. Contact me at dfriedman@clevelpartners.net or 949 4394503. The art of communications is the language of leadership. James Humes, author and presidential speechwriter. I was always taught as a youngster that if you are smart people will listen. How UNTRUE. Certainly being smart is important but it is the tone, tenor and communications style you use that makes you real powerful and a person to whom people want to listen. Think about the people in your life – be it at home or in the office- and see how you react to them in different situations. Learning the key traits to communicating is both an art and a science. I had the privilege of listening to Victor Dominguez, Managing Partner of Ligature Group provide a keynote talk at a recent Masters Lunch. Victor is a communications pro and a “creative” with an advertising background. His consultancy focuses on building authentic communications with people and to move relationships from the initial stages of building trust to forming strategic partnerships. Here are some of his pearls of wisdom from his talk. Frankly I wish I learned this as a first time executive as I would have been able to build relationships faster. 1. There are 10 cultural conflicts which undermine a company’s success a. Fear b. Blame c. Workaround d. Assumptions e. Backsliding f. Lack of Accountability g. Organizational Silos h. Gossip i. Disrespect j. Chronic Dysfunctional Behavior 2. Employees can resolve conflict without special training by focusing on a. Respect b. Trust c. Listening and identifying shared goals d. Advise e. Change 3. Align communications with ethics and actions a. Do the right thing b. For the right reason c. Do it the right way 4. It’s not about the words you use; it’s about what people hear 5. Build trust and respect by a. Asking questions b. Listen actively and purposefully 6. Communicating with Millennials seems to be hard but is really easy a. Millennials don’t like BS! i. Avoid corporate talk ii Say it straight and don’t talk down to a millennial b. Focus on the end goal to solve a problem c. Recognize them for their results- then again, who doesn’t like kudos and recognition? 7. The ability to learn faster than your competition may be the only sustainable competitive advantage. Of the 7 items listed I know that early in my career I violated several of these tenets. Thankfully I have learned from my mistakes. The good news is that many younger executives and even more “mature” ones should pay attention to these pearls of wisdom as the combination of smarts and communications skills will make you more effective faster. Do you agree or disagree with this blog? Let me know and please like it and share it as you see fit. As a reader of Sun Tzu and the Art of War, I have been applying the rules of warfare to business and marketing for more than 30 years (hard to believe it is that long but I started as a child prodigy!!). In warfare, there is a concept called Battle Rhythm and usually that goes hand in hand with knowledge management. A battle rhythm is the heart of military operational management. Effective management means efficiently processing inputs and intent to enable the Commander to make decisive decisions. Knowledge management is less about technology than it is about identifying the right information, putting that information in context of the end game, and then collaborating and sharing information with the right people. Developing and maintaining a business battle rhythm takes the military concept into the business world and enables an organization – company, division, department, or group – to ingest data, turn that data into knowledge, and use that knowledge to collectively or individually make decisions and put the resources in play to implement those decisions. Business battle rhythms are important because the pace of business today is extremely fast. With the Internet and communications technologies available to most companies, even the smallest competitor can outflank a larger competitor to gain an advantage in the market. The following attributes are needed in a business battle rhythm: Speed and sense of urgency because everything today operates at Internet speed. (Remember the concept of fast, fluid and flexible.) Accountability and responsibility such that a person is accountable for a result and a team is in place to support the one accountable for the final result. Engagement to ensure that there is collaboration and interplay among the executives relative to the metrics that drive success and to ensure that there is alignment of all internal resources for the common purpose of winning the battle or the war against the company’s common enemy. Competitiveness which focuses resources of the company on a common goal of winning against the outside enemy while putting aside internal differences and petty turf wars. Diversity of thought to get different views on a problem. With diversity of thought data can be viewed from different perspectives and the context of the data will lead to different knowledge based on the perspective, background and history of the different participants in the decision process. A battle rhythm uses information and decision processes to make business decisions. One way to look at business battle rhythm is through the scheduling of meetings. Each meeting should have a clear purpose, specific outcomes, and specific attendees. In the most simplistic form, let’s assume that a business builds products and services to meet the needs of customers, manages the materials, capital and human resources to build the product and then sells and supports the products/services to customers directly or through distribution. A battle rhythm can therefore be developed around this business and its basic processes. In large companies meetings are a necessary evil but you want to be focused on the clarity of the objectives of the meeting, the issues to be discussed and the appropriate people in the room to make the right decisions. Here’s an example of a business battle rhythm that we used on a tech company. Executive staff meetings. Executive staff meetings are used to review items of import to each of the team and in addition to use the time to build trust and relationships. I believe that executive staff meetings should occur early on Monday morning so the week can be started with all executives understanding the issues, problems and priorities for the week. Unlike other meetings with a more fixed agenda, executive staff meetings should a) review the past week and highlight issues that need to be handled in the coming week, b) ensure that each of the executives at the meeting raises issues or problems that are important to the group, and c) prioritize the items that need to be handled in the coming weeks and make assignments of the executives to handle each of those items. Operational reviews. Companies can set an operational weekly (or bi-weekly) meeting to review metrics, the balanced scorecard, status of strategies, products, financials, human management factors and related items. The reviews can be conducted on Weds morning after part of the week has gone by and this timing enables the team to correct actions by the end of the week. Deep dives. Based on results which have not met expectations or projects that are behind schedule, there might be a need for these intensive reviews where contingency plans or options to get the metric or project back on track are discussed and assignments for corrective action made. Product reviews. Product review meetings ensure that major projects and strategic initiatives are on track. Milestones are reviewed and corrective action for milestones not on track is put into place. Sales reviews. Sales are the lifeblood of any company. In these reviews, the entire sales funnel is reviewed with particular attention to moving sales to the next stage in the company’s sales process. Resources are assigned as appropriate to support the sales managers. The following calendar is representative of a week of operational reviews. 1 A battle rhythm for other meetings such as skip level meetings, strategic off sites, and competitive reviews, among others can and should be developed. Miscellaneous reviews might be required for different organizational elements and even at different times during the year. Standing meetings are scheduled. Additional ad-hoc meetings can be scheduled for specific reasons. The business battle rhythm is not merely a schedule but a plan, in the case above, for a weekly routine to manage the business. Each meeting has a specific agenda, with a purpose, materials to be provided ahead of time to the participants, a goal, a list of attendees, a place to memorialize the results of the meeting and a listing of the follow-up action items. 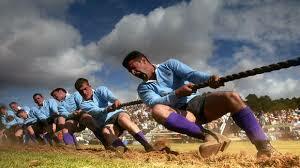 Organizations within the company can more easily coordinate their activities if they know each other’s battle rhythm. Every organization from the largest business to the small business should use a well written and developed battle rhythm. While the battle rhythm above is written for a weekly version, the best organizations use a monthly and annual battle rhythm as well. What are your thought about this concept? Does it make sense or is it too bureaucratic? Feel free to call me to discuss how C-Level Partners can help your company set your battle rhythm. And please like and share this with others as you see fit. ou can contact me at dfriedman@clevelpartners.net. The topic of leadership has come up more and more in the past month through articles in the popular press and streams on my LinkedIn page. I have commented on several articles – and even commented on the comments – because I think some of the information and concepts are either too simplistic or incorrect. For example, I read one article that relayed the one leadership skill that could change a company from good to great. It was click bait to me but I clicked …….. and commented about its incompleteness!!!! Leadership has many facets. When you read the leadership gurus like Peter Drucker, Warren Bennis and John Maxwell, they talk about leaders having influence and followers. That is certainly true. For a more current view, I like John Maxwell’s thinking on leadership because he has a more integrative approach covering 21 indispensable qualities of the leader, and 21 irrefutable laws of leadership. He, too, touched on many components of leadership and his insights are excellent. But I don’t believe even he goes far enough. I want to add to this thinking by talking about StreetSavvy℠ Leadership. This is my take, not from merely studying others and codifying what I observed, but also because I lived it and had both successes and failures as a leader. Regardless of your position in the organization, you will have both success and failure as leader. Witness the rise and fall of luminary leaders such as Jeff Immelt who took over GE and is struggling with the growth of the company. And let’s look at leaders who were successful in one company but failed to capture success in their next company … or vice versa. I am a NY Yankee fan and remember when the Yankees hired Joe Torre. Torre was not a good manager with the Mets, Braves and Cardinals and compiled records marginally below .500. But with the Yankees, who saw something unique, he was able to win 4 world championships and 2 additional pennants. Granted, they had great players (competencies) in that era as well but Torre was the leader and a lesser manager might not have been as successful. StreetSavvy Leadership blends theory with reality and execution to garner results. It is leadership within the context of the company and the environment in which the company operates. Leadership without positive results in business is being a pretender. 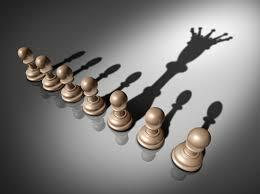 StreetSavvy Leadership means doing things differently than before to grow your business and protect against mediocrity. StreetSavvy Leadership looks at data and transforms data into knowledge and gives that knowledge to the right people closest to the decision point and trusts them to make the right decision. It means setting the right vision and ensuring alignment among all members of the exec team and throughout the organization to execute effectively and efficiently. Here are the 7 Cornerstones to StreetSavvy Leadership: Set actionable vision. The vision has to be credible and recognized to be eventually achievable even if there is no clear path to that end. Recall when President Kennedy said: our vision is to put a man on the moon by the end of the decade. Vision is achieved by looking at the 3 Cs – customers, competitors and competencies – and ensuring that the company knows the best way to grow relative to these three components. The vision may be such that one or more of the three C’s must change over time. Keep a mindful eye on the environment and adjust. Within this construct is a concept called PEST – political, economic, social and technology changes. The leader needs to watch for changes in all of these factors and be prepared to manage responses relative to the shifts in some or all of these factors. Clearly the leader doesn’t do that on his or her own, but tasks different groups or select individuals to keep a watchful eye. Build a sustainable team. Unless you are a one person company, leaders have to hire, train, manage, and motivate people in their organizations to achieve success. I recall one definition of leadership is to get ordinary people to extraordinary things. That is partially true. The StreetSavvy Leader understands that a strong team needs to be built and that employees want to see a solid career path. That encourages loyalty and ensures that the top employees rise to the top. However, there is a time and place to hire from the outside and not merely from the competition. If every company in the industry hired from a competitor, eventually all companies will regress to the mean, ceteris paribus. However, the StreetSavvy Leader might hire from an entirely different industry or for entirely different skills to ensure that the company doesn’t become too internally focused and can challenge its own prevailing wisdom. Training, shadowing, mentoring and other assignments make the employees well rounded. A formal program for top 10% of the execs should also be in place as both a reward and expectation of future success. IBM for many years and GE have successfully established internal programs to supplement the training of the top tier executives. Establish the right culture. Would you want to work for a leader who sets a punitive culture such that if bad news is given the leader goes ballistic? Or work for a leader who fails to recognize the success of individuals in the company yet accepts the kudos for him/herself? I worked for one boss who liked to yell at people who brought bad news to the executive meetings. I realized many years ago that I would rather meet that bad news head on and ask the executive who brought the bad news for prescriptions to manage the impact of the bad news. That reinforces the concept of responsible management and ensures that each person in the organization has the obligation to find solutions to problems. Practice open book management. People need to feel part of the organization. Ideally they should feel like part owners and have the opportunity to own a stake in the company. To do that I am a firm believer in sharing the financials and metrics that the company uses to determine success. Once these metrics and financials are shared, it would be incumbent for the executive and managers down the line to work with their people such that each person in the organization understands their role in creating revenue or managing cost. By doing this, each person can see how their job affects the success or failure of the company. Live the 5F Factors. There are five factors that characterize the StreetSavvy Leader. They are Focus, Fast Afoot, Fluidity, Flexibility, and Fast Failure. The business world shifts quickly and these five F factors enable the leader and the company to be nimble and take advantage of opportunities. Seek self-improvement. I personally have never been satisfied with who I am and what I can be. Executives have to continue to improve functional skills but also should improve in their understanding of business issues. Unfortunately, in the business world, I have seen too many CEOs and other high ranking executives believe that once they hit that lofty pinnacle, they can stop improving. Self-improvement takes place on many levels. Executives can and should continue learning by participating in peer groups, reading various business journals and biographies of successful leaders, and even self-improvement books. Having an executive coach and advisor can help as an external sounding board and someone who is not fearful telling the emperor so to speak – that he or she has no clothes. Three sixty and employee survey results which should be shared with the team can be used to help the executive understand his/her style of communications which may affect the organization’s growth. And to understand the business, what better way to do that than becoming an undercover boss or walking the production line or working as a customer service rep or front desk employee or even a bellhop or maid. I don’t believe these are radical ideas and they should be considered if you want to improve to eventually be a StreetSavvy Leader. Jimmy Dean said: You cannot change the wind but (a leader) can always adjust his sails to reach the destination. How true. StreetSavvy Leadership reflects the Jimmy Dean quote. It is something that can be learned and if used correctly I believe it offers the best chance of success for a company. I would be glad to hear your thoughts. Feel free to comment, share and repost and let’s continue this dialog. My email is dfriedman@clevelpartners.net. The 5 F Factors in StreetSavvy℠ Leadership. I attended a roundtable discussion sponsored by Susan Howington, CEO of Power Connections, the other day. Susan holds these meetings with senior executives regularly and we discuss topics of interest. The topic we discussed revolved around whether a strong leader is not afraid to change his/her mind and under what circumstances they should be flexible in changing course. It appears that many leaders, in order to look strong, set a course of action, and don’t want to change for fear of looking weak and flighty. There were several people in the discussion today including Peter DeAngelis (CEO, TechCoastAngels), Ron Davis (CEO and GM), John Theron (former CEO and current software consultant), Patrick Flynn (PE CEO and former aerospace exec) and Cindi Mullane (CEO and operations executive in the fashion industry.) This was an excellent complement of people. The initial discussion centered on the need for clearly setting goals and objectives, continuity of strategy, becoming agile in one’s thinking, recognizing challenges and preparing your team to meet the uncertainty of these challenges, and keeping options open, e.g. predesigning flexibility into your decisions. Many years ago, I coined the term StreetSavvy℠ as applied to many executive functions. When I worked for founding CEO of US Cellular Don Nelson, Don and I coined the phrase fast, fluid and flexible as we were trying to grow in the young but growing wireless market. I have used that concept over the past many years of my career. This was the start of thinking about the characteristics of what StreetSavvy Leadership is about. Additionally, I have also talked about fast failure in getting products to market. More recently I wrote a blog and did a talk on managing a business. The two words are Focus and PODFU (plan, organize, delegate and follow-up). After participating in this discussion group, I found myself seeing how all these components now come together in what I call the 5F Factors in StreetSavvy Leadership. These are the five factors I believe that can make leaders stronger and their companies grow. 1. Focus. Business executives are constantly bombarded with many different product opportunities, decisions, strategies and the like. If everything is a priority, nothing is a priority. Therefore, the first characteristic for a StreetSavvy executive is to be laser focused. Don’t try to do more than two or three major initiatives at the same time. You have to have clear priorities because you need to have dedicated resources to be successful. As Sun Tzu said: concentrate your resources at the competitors’ weakness at the point of attack. This is the business correlate. 2. Fast Afoot. Fast doesn’t mean reckless. Most executives believe they have to make a decision and do it with speed. Then once a decision is made you execute relentlessly. This is basically true. As executives we need to have information and facts upon which to base decisions. Unfortunately, in business, information and facts are never complete and there is a point at which more facts give you limited additional utility in making a decision. Because an executive never has complete information, decisions are always uncertain and it is a matter of how likely the decision will be correct and how potentially damaging uncertainty becomes. 3. Fluid. Things change. Water conforms to the changing landscape to reach its destination. The destination or goal may still exist but there may be impediments along the way and obstacles to overcome. Fluidity means dealing with these changes, mostly tactically without changing the strategy or the end game. StreetSavvy Leaders continually scan the environment absorbing new facts and information. They figure out a way to maneuver through the changes that take place. Scanning the market through customer panels, tactics like mystery shopping or Undercover Boss, assigning people or teams to track a competitor – both direct and indirect – are critical to get new information and upon that new information to make informed decisions which might change the tactics of the strategy or to a lesser degree the strategy itself. 4.Flexible. Opportunity knocks and changes in tactics may occur. Tactics and strategies must be consistent with goals and objectives which are much longer term. Andy Grove, former Chairman and CEO of Intel wrote that only the paranoid survive. To me, paranoia in business is good in order not to be complacent. Executives have to look at opportunities as they arise and address them. Should an opportunity exist executives might need to change course. I recall working for one company which had negotiated a large contract with a supplier many years before. The technology shifted and over time that technology was neither as robust nor cost effective as a newer technology invented by an Israeli company. Our company chose to stay with the older technology and that was perhaps one reason why our company was not as successful as we could have been. It happens all the time. Culture has to be set to enable this flexibility as changes to a plan are not normally welcomed by the highest levels of leadership due to economic or political concerns. 5. Fast Failure. Making a decision is one thing. Staying with a decision that becomes a losing one can cause irreparable harm to a company with potentially serious side effects like going out of business or having to lay off people. As one of the participants stated: bad new does not get better with age. I recall when I was at one of the Baby Bells and we were trying to grow our business by focusing on new product development. Unfortunately, one of the products on which we spent significant resources was not going to be a winner. The right decision was to terminate the project yet the project lead who worked for me did not want the stigma of failure on his shoulders. The culture was to “punish” failure. In this specific case it was a slow failure. In retrospect, the life support on this project should have been pulled years before. In this case with a little prompting, the project lead terminated the project and I gave him a reward for making the right decision. The culture had to be established for fast failure. Just think of Google and how many projects they have in the works at any one time. Or even 3M. They know that some projects will fail and executives are ok with that. Similar to stock trading you have to let your winners run and cut your losers quickly. How many of you are willing to do that? How does the StreetSavvy Leader manage to implement these 5 F Factors? The primary need is to communicate and have an open dialog with your team and others lower in the chain of command. 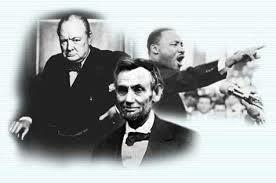 It is critical for the leader to walk the talk and become Pattonesque in their leadership style. Be on the front lines with your troops. Be visible and be communicative. Ask questions and listen and know that your obligation to your company is to new and even divergent information so you have the best chance of building a successful company. Glad to have other viewpoints. I was thinking back to my days in the mid-80s as an executive with a communications company where I had responsibility for both strategy and execution. Their logic for combining the two functions was because they felt that a hand off between two people – one leading strategy and the other leading execution – was a problem because of “interpretation” of what the strategy meant. And in some way, this corporation was prescient because strategy and execution are the yin and yang or two sides of the same coin. In fact, to me, strategy and execution have to intersect. In the 80s – for those of us who are historians – companies had chief strategy officers who developed all the grand corporate strategies. Now ask yourself today: How many companies have strategy officers? I believe that very few do other than maybe the mega companies in corporate America. How are strategies set? Imagine a football team. (I like sports analogies). Let’s say that the head coach looks at his players and the other teams in the league and says, “Our strategy is to run the ball because of a, b, c and d. He deduced (call this a DEDUCTIVE STRATEGY) because he used facts about players and experience in games to derive a conclusion. Now, imagine the first game of the year where the opponent studies this team and stacks players against the run. The strategy might have been fine, but execution failed. Or the strategy needs to be reconsidered. Let’s say that feedback from the players on the field and the other coaches indicate a weakness in the secondary of the opponent. The strategy now shifts to one where passing becomes the norm and, by so doing, the game is won. It really doesn’t matter what is the initial strategy. What matters is that there is an initial direction and initial concept of the “why and how” of winning. Yet based on results or creating the plan and executing on that plan, the team uses that information and results and adjusts. I call this contextual strategy. Think about this. Todays’ world is based on AGILE – agile development, agile (responsive) web, and agile personnel who can perform in multiple areas. In essence, execution and the results achieved either support the initial strategy or adjustments to the initial strategy must be made so you can win the business game. That is the most critical part. As Don Nelson, my former boss and mentor at US Cellular said: “You have to be fast, fluid and flexible.” So true. We are not abandoning strategic thinking, but rather moving it to a new level. Using the football analogy, that is why many coaches script the first 20 plays of the game and make adjustments during the game and again at half-time. Their strategies change – to a degree – and hopefully their results improve. I want to share a short checklist that is necessary to implement execution as a strategy and to start a robust dialog on whether you agree or disagree with this assertion. 1. Develop a baseline strategy. An initial strategy is a stake in the sand. Strategies may include an overall corporate strategy, sales strategy, R&D strategy, marketing strategy, brand strategy, operations strategy, people strategy, and I am sure others specific to certain industries. 2. Focus on Results. Do you focus on quantifiable results that are specific, measurable and achievable and within a logical time period? Is there one person responsible for a specific result? How are results shared with the rest of the team, company or other interested constituents? 3. Align executives. Do all executives buy into the strategies and understand the interrelationships? For one company, the strategy seemed very clear. Yet when we asked what that meant and how that strategy would be implemented by them, we had a clear case of misalignment.This detracted from results.Based on some serious discussions at a “strategic offsite” the overarching strategy was changed and each executive understood their role and the effect on the strategy and execution. Executive buy-in and commitment are critical for success. 5. Define a dashboard. Every company needs a measure of success. Let’s not get bogged down by so many metrics that people get lost in numbers. Normally, though, we can develop 6-10 metrics that can be used to judge success. Should one of them break down, those responsible can peel back the onion – do a deep dive – into the subordinate and supporting metrics to find the root cause and then fix it. Yet everyone should be privy to those things important to the success of the company. 6. Obtain the right tools and support. You can have a brilliant strategy to develop a low cost item. However, if you don’t have the equipment to produce the products or the people to run the machinery, or the customer service systems to support customers with problems, or a good quality process, the business is doomed to failure, or at least wasted energy. Lewis Carroll said: if you don’t know where you are going any road will take you there. Companies have to set a course, a direction and have clarity in their destination. Yet as new ideas surface, new competition, new customer demands, or changes to the economic environment occur, companies need to be agile. They need to adapt their strategies based on the results they are achieving and as measured in their dashboard. By so doing, execution becomes the strategy. We would be glad to hear your points of view and continue this dialog. Please contact me David Friedman, at dfriedman@clevelpartners.com.